It's the Titanic! But why is it so tiny? It was huuuuuuge in that James Cameron movie! 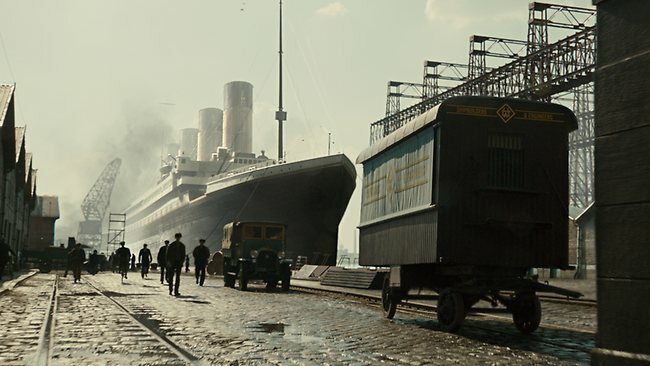 I just rewatched Titanic, the miniseries that aired worldwide on April 14 and 15 to commemorate the 100th anniversary of the sinking of the RMS Titanic. 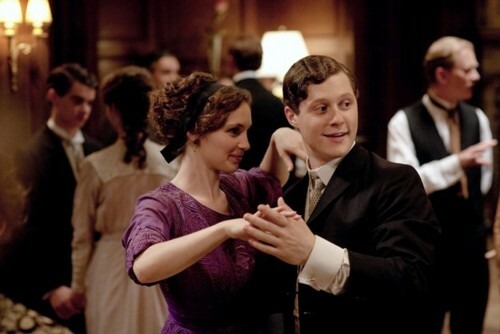 Written by Downton Abbey creator Julian Fellowes, the four-part series offers a new take on the event from its many predecessors. Fictional and historical characters from every early twentieth century social class are depicted in a series of interweaving stories.The miniseries has received numerous criticisms and it has seemingly failed on several levels. Ratings dropped significantly during the four-week broadcast in the UK. ABC barely promoted its two-night broadcast of the miniseries this weekend and as a result, the U.S. broadcast averaged about 4 million viewers. The sinking ratings (pun intended) has been blamed on the series’ non-linear structure and its 80-plus characters. Episodes one through three follow specific characters but there are a few time jumps and several scenes are repeated from multiples perspectives. In every episode, the Titanic hits the iceberg. These first episodes end with cliffhangers, allowing episode four to focus solely on the ship’s final moments and each character’s fate. In episode one, Harry Widener woos Lady Georgiana Grex. Don't Google "Widener Library" if you want this to be a spoiler-free commentary. For many casual viewers, keeping up with the multiple story lines, dealing with frequent commercials, and trying to connect to the characters was an issue. If you weren’t interested by the first class passengers in episode one, then you most likely wouldn’t wait around to see Annie and Paolo’s romance get the full Fellowes treatment. (It is also hard to care for the fictional characters when many of the Titanic’s famed passengers have such great stories themselves. I could watch an entire movie about Benjamin Guggenheim.) But if you stuck with the series after the first episode, Titanic significantly improved. Great acting from Maria Doyle Kennedy and Toby Jones carries the second episode. By the third episode, I was engrossed and the finale left me distraught. They are probably also blaming Julian Fellowes so much that they would hope he struggles for a lifeboat. On my tenth birthday, I received James Cameron’s Titanic on VHS. (It came on two tapes!) This was exciting for any normal pre-teen in 1998 who was not allowed to see Titanic in theaters earlier that year. (You were jealous of the girls who got to see it.) I finally watched the movie and… was terribly disappointed. It’s a disappointment I still haven’t gotten over. So I did what any normal 10-year-old would do. I read Walter Lord’s A Night To Remember and developed an intense fascination with the ship. I read and watched everything about the Titanic. I even built a replica model of the ship that was on display in my room for many years. You know, normal kid stuff. "I never should have told you to read A Night To Remember." My mom, after I spent about 15 minutes talking about the Titanic this morning. Basically, I know a lot about this damn boat but the few historical inaccuracies in Titanic don’t bother me. I think they’re worth noting but believing that changing one or two things ruins the miniseries is a pointless argument. This is entertainment first. Likewise complaining about the film’s lack of grandeur is another meaningless debate. I didn’t need to be mesmerized by the sight of a replica Titanic. If I wanted that, I would see Titanic in theaters right now. 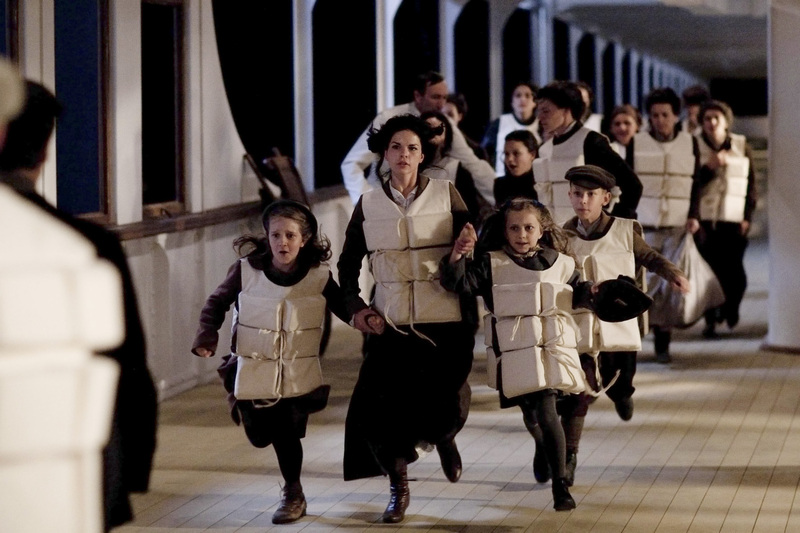 In the hierarchy of Titanic films, the miniseries actually stands out from the better films. A Night To Remember is the most historically accurate film. Titanic (1953) is the studio-era melodrama. Titanic (1997) is the big-screen disaster movie and spectacle. But by focusing on class issues of the era, this miniseries has done was almost no other Titanic film has done. It is certainly not as nuanced as what we see in Downton Abbey but it is there and it shows us these differences without a dance party in steerage. Because nothing is sadder or more dramatic than 1,514 people dying. I suppose the final point I’m hoping to make (now that I’ve repeated myself a few times) is that Titanic is an enjoyable miniseries. I laughed, I cried, and I wasn’t forced to watch a boring romance. Many of the complaints (aside from those about the non-linear structure) are insignificant. I love this damn boat and the miniseries has reminded me how intensely fascinated I am by the Titanic. Learning about it when I was younger probably kick started my interest in history and subsequently film. (Not many pre-teens seek out Barbara Stanwyck films because they are interested in what the movie is about and not Barbara Stanwyck.) This past weekend I allowed myself to get swept away (bad pun, sorry) by the Titanic for the first time in years. Many more movies will be written about the Titanic because not every story has been told. After all, it took 100 years to focus solely on third-class passengers in a semi-realistic manner. Few other events that are unrelated to war or natural disaster have as much story potential. I’m intrigued to see if, when, what, and how filmmakers choose to depict the sinking of the Titanic that keeps audiences interested. Because, lets face it, there will always be a market for another film about the Titanic. Hear hear, aweome review. :) Just because of our 10 minute attention span generation I know quite a few people who simply didn’t want to see it through. :( But yes, the French edit of it is totally linear too. Whilst I also liked the idea of the iceberg sinking every episode, I can undersand why people found it a little irritating, especially when some scenes weren’t explained until much later and I did enjoy the linear one a bit more (even though the Sidney Street riot scene had to be put in quite a random place). With a way smaller budget than say, the Cameron film, they did do an amazing job and captured the heart of the Titanic’s people. Glad to find a fellow fan!